Investing in timeshare ownership at San Martinho Beach Club guarantees an annual Mozambique tropical beach holiday at your preferred time of the year every year for as long as you own the right of use to the timeshare unit. 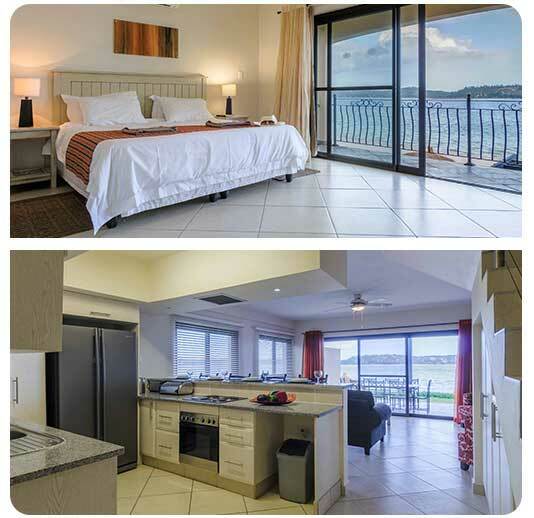 You never have to reserve your holiday accommodation in advance because you own your holiday time. Yet if you cannot get to use your timeshare week/s in a particular year you have a number of options such as you can rent it out to earn rental income or exchange its use for another time and/or destination in the exchange portfolio. The fully equipped timeshare unit comprises 3 bedrooms with a sleeper couch (suitable for kids up to 12 years old) in the lounge. Kitchens are made from Mozambique hardwood with granite counter tops. The unit has its own double covered carport. Timeshare owners have access to all resort facilities. San Martinho Beach Club timeshare units are all situated on the edge of the lagoon beach ensuring an unrivaled waterfront holiday experience. Step straight onto the lagoon beach. Timeshare owners acquire the exclusive use, occupation and enjoyment of a luxury upmarket holiday home in the seasons of their choice at a fraction of its outright cost. You can invest in as many weeks as you need. Timeshare weeks run from Friday to Friday. The ongoing running costs of the apartment are shared between the timeshare owners. The timeshare scheme endures until the end of 2099. The resort is managed on behalf of all owners to ensure that when you are on holiday you actually get to enjoy your recreational time without wasting any precious relaxation time on maintenance or upkeep related issues. Ad hoc letting via the rental pool may be undertaken as a secondary activity to offset holding costs should you not be able to utilize your timeshare weeks. An investment in timeshare ownership is primarily an investment in guaranteed future holidays at today's price. Specific prices of timeshare weeks vary according to unit size and season. 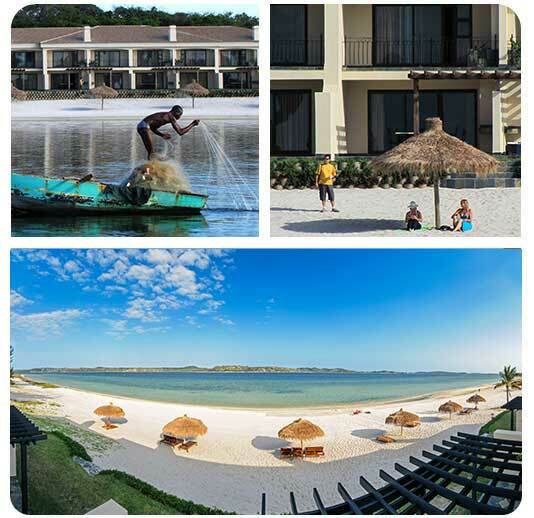 San Martinho Beach Club Timeshare is the first 100% legal timeshare ownership scheme in Mozambique. Irrespective of whether you own a villa, shared ownership slot or timeshare weeks there are a number of unavoidable costs associated with the use of the investment. These include items such as: Electricity and water. Rates and taxes, Insurance, Domestic servicing, Upkeep of gardens and common amenities, Laundry, Maintenance, Replacement, Refurbishment and Management etc. In San Martinho Beach Club all timeshare owners contribute to these costs by means of a levy determined by the SMBC Management Association. The management company invoices owners for the levy in advance of the time module being occupied. It is important to understand that no-one may profit from the levy. It is there to cover the operating costs of the timeshare scheme. The Association will estimate amount which will be needed to meet estimated expenses during each operational year together with any deficiency from the preceding operational year and an amount to be held in reserve for future renovations and refurbishments. Levies are payable by the last day of January each year.